CAV paves the way for your smart home or modern workplace in the beautiful Southern Highlands. As your trusted home theatre, automation and CCTV surveillance installation specialists we service all major location across Southern Highlands including Exeter, Mittagong, Moss Vale and Bowral near you. Make your home in Southern Highlands more inviting and comfortable as you enjoy the unique idyllic beauty of Southern Highlands and yet cherish the joys that latest technology has to offer. Discover energy and cost savings as you automatically control the various devices in your home from lighting, music, video to improve efficiency, consistency and employee satisfaction at the workplace. We help you transform your empty rooms into incredible spaces where you enjoy the best of entertainment with your family and friends. From in-ceiling and in-wall speakers to a whole house audio, our experts at CAV create custom home cinema installation so you enjoy an immersive experience that is cinematic in every sense. "If you would like to make an appointment please contact our friendly sales team on 0402 355 788 today"
Discover our bespoke multi-room audio systems for the ultimate audio experience at your home. Whether you own a retail store, school, college, fitness centre, or hotel in Exeter, Mittagong, Moss Vale or Bowral across Southern Highlands, we provide custom multi-room audio solutions to elevate your customer experience. Future-proof your home and office with structured data cable installation by professional data cabling specialists in Southern Highlands you can trust. From smart data cable installation to prewiring and management, the team at CAV provides structured cabling suitable for all your communication requirements, whether residential or commercial. We at CAV help you create thriving workplaces that improve collaboration, increase productivity by automating your corporate boardroom or conference room. From centralised control system to fully integrated video conference solutions, CAV can cater to every client. No matter how big or small your business or home, access control system offers unprecedented security to protect your property. We at CAV install a wide range of Access Control System for our valued customers in Mittagong, Moss Vale and across Southern Highlands. Whether you want to restrict access to specific locations or want more security for a commercial or residential project, we let you became more secure. 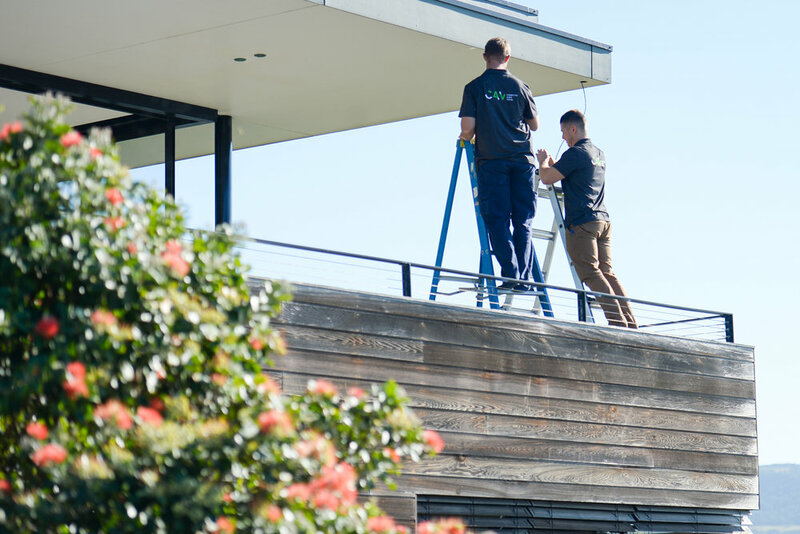 Discover comfort, convenience and control as we at CAV install high-performance, user-focused smart home systems across Bundanoon, Robertson, Berrima, Burradoo, Sutton Forest, Colo Vale, Avoca, Yerrinbool, Welby and Southern Highlands. Homeowners across NSW trust us to install advanced surveillance, immersive Home Cinema, Data Cabling and Wi-Fi, pre-wiring and business automation to make smart home and office a reality.